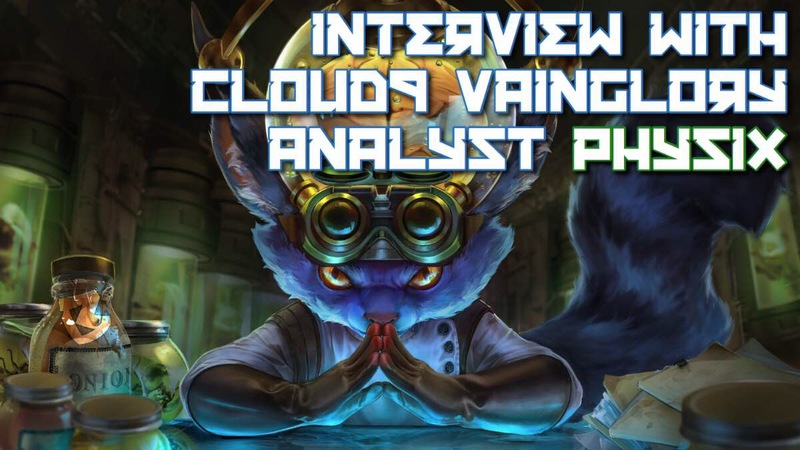 Over the past year, Cloud9’s former analyst, physiX, has exploded onto the Vainglory scene. She has played in Vainglory8 in EU, writes strategical articles that are published by Broken Myth, is a member of the group Girls & Glory, but has really made her mark in her competitive analysis and draft prowess. physiX hails from the SEA region, and is currently enrolled in school in the UK. Shortly after the 2017 World Championship in Singapore, physiX announced that she would be leaving the competitive scene in Vainglory to pursue her education in engineering. We wanted to take this opportunity to sit down with her as she transitions to a new role in the community. We also wanted to talk to a few special people that knew her well and thank her for her tireless efforts over the past year! Broken Myth (BM): How were you introduced to Vainglory, and what interested you most about the game? physiX: It’s a funny story, actually. When I started playing Vainglory, I didn’t even have a device that could play Vainglory yet. My boyfriend introduced it to me in late 2014 on his iPad, and I really loved the game. Not sure if it was still called Kindred then or not, but I recall watching him play (and hijacking his device to play!) sometimes when we spent time together. 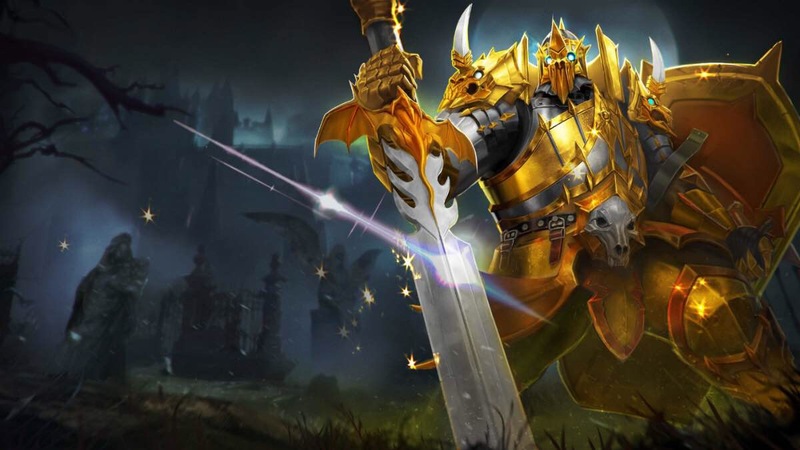 The concept of a MOBA really intrigued me, but I didn’t have a computer that I could play the more popular MOBAs like League or DOTA on. Eventually, after I got my own device, I chanced Vainglory again on the App Store after searching and searching, and got hooked onto it. BM: When did you realize you wanted to be part of Vainglory’s competitive scene? physiX: It was around the time VIPL 2 occured. I watched the VODs — the ones for VIPL too — and just found myself dreaming about being up on stage and competing. Well, it isn’t called Vainglory without a reason, and I had some pretty ambitious dreams. Gankstars was one of the teams I really looked up to at that time — my favourites during my time watching VIPL and also the catalyst that sparked my idea to be part of the competitive scene as an analyst. Back then, I was just another player like anyone out there, with only a small knack for numbers and writing, and a dream that seemed impossible. It only really hit me that I could achieve that dream when I was scouted out by Cloud9’s manager, Ian, to be part of a “superteam” he was making for 2017. And then everything went on from there. BM: What are some of your hobbies outside of Vainglory? physiX: I love to read and watch anime — I devour stories really fast! Oh, and I actually enjoy writing as well, from short stories to kids’ science articles to Vainglory articles. Consuming and producing content just makes me happy, warm and fuzzy on the inside, and the most obvious to anyone who knows me personally: I love fooooooooood!!! I didn’t realise that until my guildmates pointed out that I was always munching on some food or another whenever I was on voice chat with them. But food has always been a part of my life that I look forward to every day. BM: Since you are from SEA, have played in EU, and were an analyst for an NA team, how have your experiences in different regions helped you? physiX: All three regions have vastly different playstyles with varying metas. And I learnt different things from each region. I started playing Vainglory in SEA, where the players are salty as the sea and toxic like taunting SAWports. Being in such an environment taught me patience and tolerance, and to take failures as they go but not be affected by it. SEA players greatly emphasize on micro play compared to macro play, and players would often attempt to win purely by mechanical skill while ignoring rotational strategies. SEA is also one of the more creative regions, cooking up unconventional strategies and builds like WP Adagio and Serpent Mask/Breaking Point Vox weeks before others servers did. I learnt to be creative and open to new ideas. In EU, I was welcomed into the community. The general playstyle in EU was less aggressive compared to NA and prefered hypercarries and late game strategies. But I had two teammates I often played with who were extremely aggressive, often diving in recklessly but always managing to trade of one, if not two kills. So I learnt to play efficiently as a captain, and dive in with them without hesitation and keep them alive at all costs, allowing them to wipe out the enemy team. I grew as a supportive player, willing to play a less flashy role and take the rep if needed. In NA, players are lively and arrogant, believing that they’re the best players in the world (and rightly so, most of the time!). While I still maintained a support role, I grew braver as a person and learnt to grab opportunities as they came by. Speaking up was sometimes difficult for me, but if I didn’t voice my opinions, I would never be heard. I learnt confidence. As an interesting side note, I always found it amusing that all three regions know and call me by different names. SEA players call me “phypoh”, because that was my original IGN. EU players call me “phy”, because I know them on a more casual and friendly basis. NA players call me “physiX”. BM: You fairly well exploded onto the scene following Cloud9’s victory in the Spring Unified Live Championship. Did you expect this to happen? How did you handle the sudden resulting popularity in the community? physiX: I was super shocked. I just happened to be on stage as a replacement for our coach, wailmer, who couldn’t be there physically at live. If we’d won with him on stage (yes, we still would have, wailmer spearheaded the drafting process), wailmer would probably have gotten all the attention. It was just a matter of being at the right place, at the right time. I was kinda overwhelmed when I got so much attention overnight. I used to be shy (I still am, a little), so I just tried to slide out of everything, leaving the after-party celebration early to catch the train home (I had lectures the next day! ), deflecting interviews to the team manager or players. The fame was enjoyable, though, with a guilty pleasure — watching my Twitter feed blow up overnight, my name actually being known and put up there with competitive players. What I was most happy about (or at least amused about), was that very few knew about my background or identity. It took around a month for some to figure out I was female, and two months for the EU competitive players to realize that I was from their own server! That meant, young or old, male or female, NA or EU, anyone could achieve that dream of making it big in Vainglory. In a community where there are very few female players (there’s none in NA/EU competitive), and players are biased against regions, it speaks a lot. Also, I’m pretty happy that the events of Spring Unified caused teams to pick up analysts and coaches everywhere, as well as put emphasis on draft. If Vainglory’s competitive scene was to further develop, support staff needed to play a bigger role, and the intricacies of Vainglory gameplay needed to be expanded upon. Funny, though. Although I became known for my drafting, I picked up drafting duty two weeks before the tournament because our initial drafter had to focus on personal life stuff. I initially specialized in API programming as an analyst. Before vgpro.gg and other sites were up and running, I was already spying on other teams using my own program. BM: What are some of your expectations for 5V5? physiX: I think 5V5 is the turning point for Vainglory, where SEMC will either make it or break it. 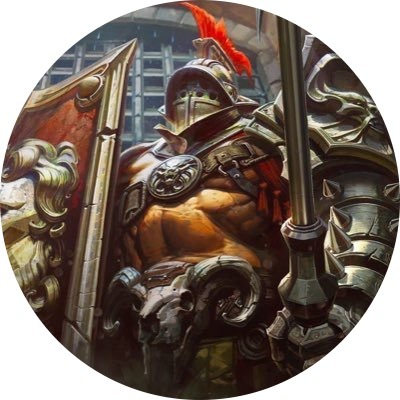 With the developers being so dedicated and connected to the community, I’m sure they’re putting in their all for 5V5! However, it’s directly adapting a unique game mode and game elements originally intended for 3V3 into an expanded map with larger complexity. That means it’s definitely going to be a quite mess at first, probably easily exploited by strategy that some smart players cook up. But once everything smoothes out, loopholes get patched up and bugs get exterminated, the real fun begins! There’s layers and layers of depth that gets added to 5V5, and players can no longer bull their way through with pure mechanical skill. BM: Which region do you think will be the fastest to adapt to 5V5? physiX: I think it’ll have to be North America. 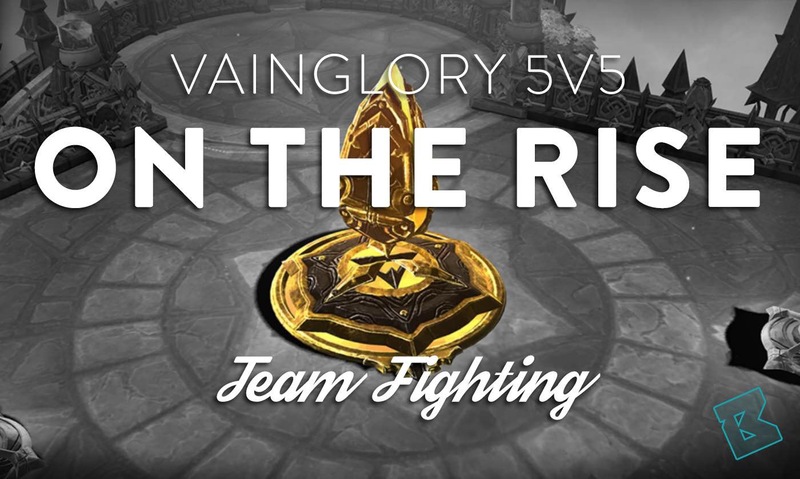 They have the largest pool of competitive players who in total dedicate the most amount of time playing Vainglory. Most of the players who have been testing the primitive 5V5 alpha/beta versions have been from NA as well. So they’ve had the most time to form decent strategies and metas that work efficiently in 5V5. I think SEA will have the wackiest ideas that might eventually turn out to become dominant strategies in the new meta. BM: Another asset that you have become notorious for doing well (besides drafting) is articles that you write covering various analytical topics in Vainglory. How do you come up with topics for your articles? BM: As you announced shortly after the 2017 World Championship, you are retiring from the competitive scene as an analyst, and moving on to finish your education. What are you studying, and why did you choose that field? physiX: I’m in my second year of Engineering! I chose Engineering because I really like physics, but wanted to move it to a more applied context. I’ve already decided and cemented my career path for the next 8 years, and I’m sure I will enjoy it. BM: Do you have a focus within the engineering field (i.e., Mechanical, Electrical, Civil, etc.)? physiX: As of now, I haven’t chosen a field to specialize in. My course only requires me to chose by the end of second year. And I’m still not sure what I’m going to do. BM: Do you ever see yourself returning to the competitive scene in Vainglory in any capacity? physiX: Definitely not within the next half a year or so, and most likely not ever. I’m dedicating my school term to focus on my coursework and my exams, so I’ll be busy until June 2018. I’ve also seen a lot of cutthroat actions happen behind the scenes of competitive, detrimentally affecting many people in the competitive scene. I don’t want to be put between a rock and a hard place if I get caught in a power play, and I don’t want to step on others to fulfill ambitions. Unless I find a team with players whom I really like in terms of character, work ethics and gameplay (or my resolve to stay out of the scene wavers, I guess), I won’t be returning. I’ll probably just be a casual player who occasionally helps other out or give advice, fading from glory and memory. BM: If you had unlimited resources (including time! ), what’s one project you wish you could create? physiX: Time is at a premium as always, but I often lament the fact that I lack the programming skills to create and maintain programs to aid myself in Vainglory analysis. If I had unlimited resources, I’d definitely create an drafting AI bot. I know it’s possible to create it, and I’ve done a project involving machine learning last year. I just need the time and tenacity… I’d need 10,000 years to complete that though! Following physiX’s interview, we reached out to some of the individuals she worked with at Cloud9 to gather their thoughts on her dedication. Thank you for being willing to place the role as an analyst for us as a priority. Your help in 2017, especially with us in person in London and Singapore, was awesome. Thank you to physiX for all of the hard work you put in to help out Cloud9. Your time spent is much appreciated. physiX, the epitome of a diamond in the rough, was absolutely invaluable to the Cloud9 Vainglory team throughout 2017. It’s been great to see her get the recognition she deserves for helping to pioneer competitive analysis and it’s been even greater to have worked by her side as part of the C9VG family. We all wish her the best in her future endeavors! Working with physiX was one of the best times I had in Vainglory. She’s not only a true scholar as an analyst but more importantly, pure of heart as a person. She has a bright future ahead of her and anyone should count themselves lucky if they ever end up on the same team as her. While these are just a few quotes from her fellow Cloud9 members, the sentiments shared above can be found stated by numerous members of the community. physiX has played an essential role in the Vainglory community for the past year, and has made huge steps in the area of competitive analysis. She has left a permanent mark on the competitive scene and will be sorely missed (Ian can attest to this). On behalf of everyone at Broken Myth, we wish her the best going forward in her schooling and life! Editor’s Note: This article was completed prior to Cloud9 dropping their Vainglory team. We will provide an update once we learn more on the situation.